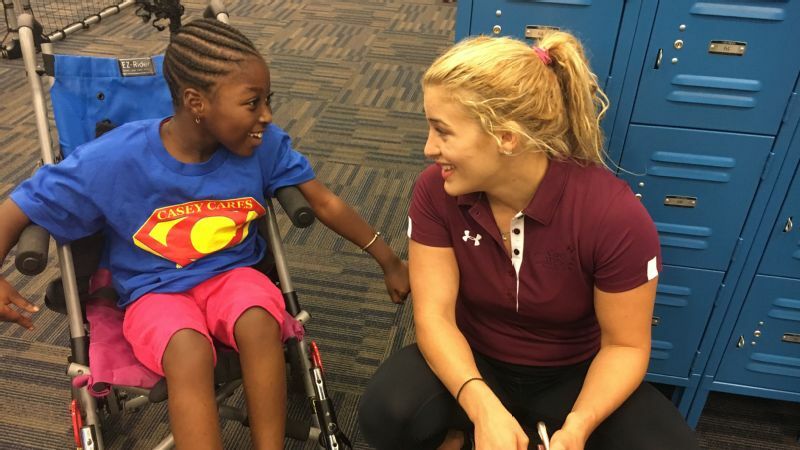 Olympic wrestling gold medalist Helen Maroulis understands the impact she can have on children, young fans and aspiring wrestlers. Last Friday, Maroulis participated in an event held by the Casey Cares Foundation, a non-profit organization that provides programming to critically ill children and their families. 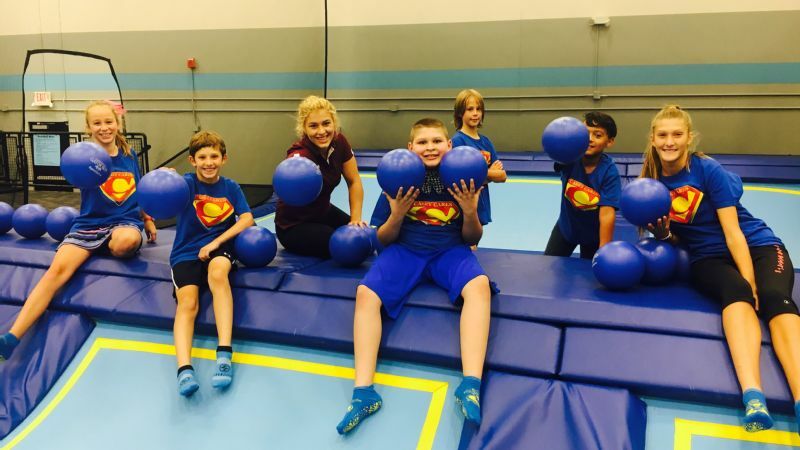 The Olympian spent the day with 50 children from the organzation at an indoor adventure park in her hometown of Rockville, Maryland, where she played dodgeball, and signed autographs. As a young wrestler practicing at the Olympic training center in Colorado Springs, Co., Maroulis remembers what it was like to meet wrestlers and figures she looked up to as a child. "Some of the older wrestlers, sometimes they [would] invite you to come sit at the table with them at the training center," Maroulis said. "I would be like 'oh my gosh they invited me, they notice me, that's so cool'." Maroulis' awareness of her impact, given her status as an elite wrestler, has instilled a dedication to giving back -- something she committed to even before becoming the first American to win an Olympic gold medal in women's wrestling, this summer. "I have been greatly affected by so many people, " Maroulis said. "It's something that I love to give back as well."